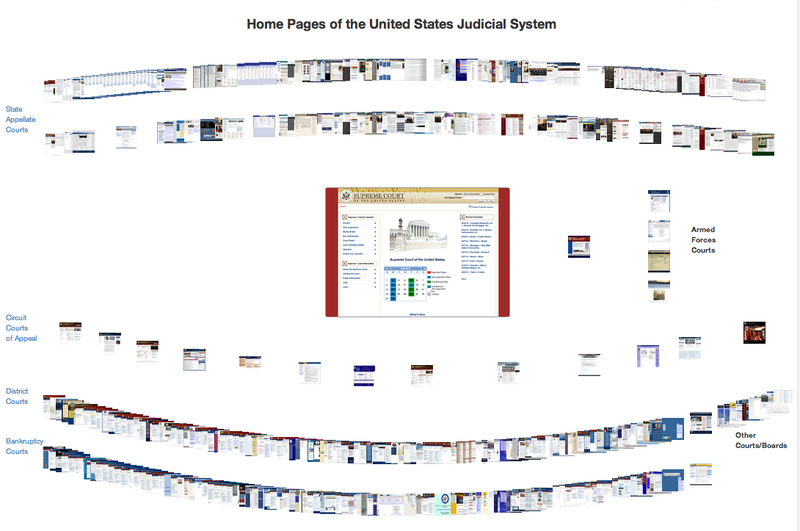 I have been playing with a visualization of the U.S. judicial system as part of learning about it. As I was tracking down web sites that were not in CourtListener.com's site, I couldn't help but notice a variety of styles for the home pages for the court. Not unexpected, of course. Anyway, I was curious what it would look like to use the home pages in the visualization, and so I used phantomjs to grab down screenshots of the sites, and then the handy "sips" command on the mac to reduce to the file size. A screenshot is below.